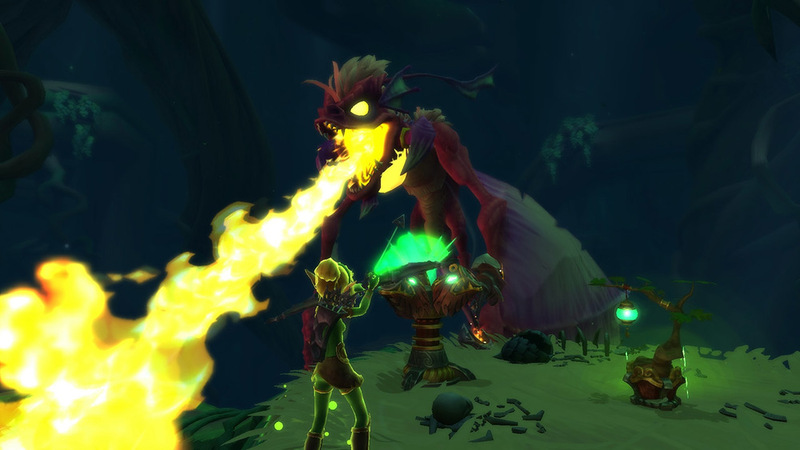 Dungeon Defenders II, by Trendy Entertainment, has had a long road to get where it is today. 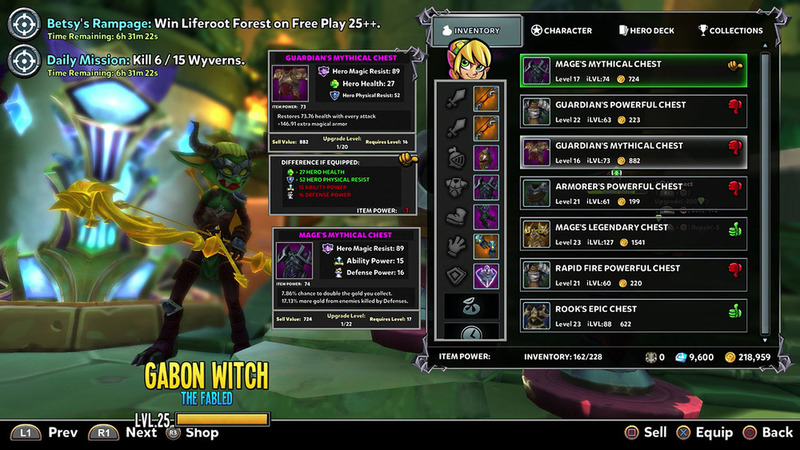 The original Dungeon Defenders, released back in 2011, was ultimately very successful and enjoyed a fairly lengthy life cycle. I myself (along with a few friends) put many hours into leveling up our characters and treasured pets, and killing orcs whilst grabbing all the epic loot we could hold. 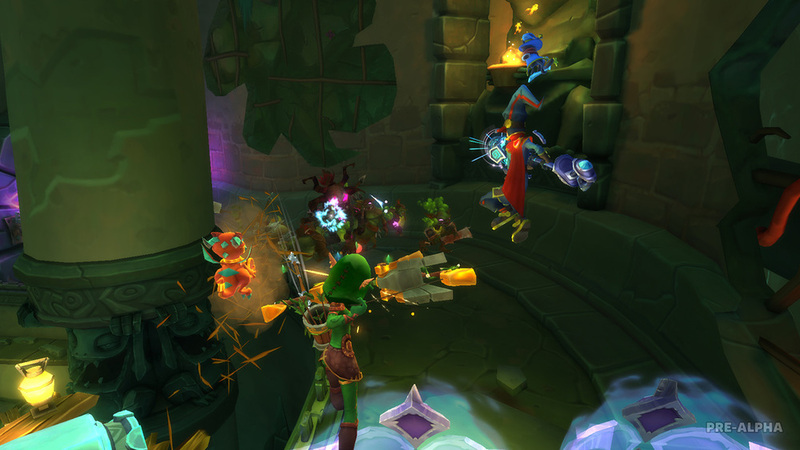 A sequel seemed like a no-brainer, and it was to a degree; but then issues within the company and different design approaches led to Dungeon Defenders II always being much further away than anyone anticipated. Flash forward to now and out of the rubble a really entertaining game has emerged. A few hours in that same addictive loop has sunk its hooks into me yet again, albeit with a few differences. The game is in Pre-Alpha right now, and is using a Free-to-Play model, so things can and will change before it fully releases. That said, there is a lot to like here, so let's hit some of the highlights. Just like the original, available for play are four tightly knit classes. You have the melee focused Squire, the support and buff centered Monk, the range and trap oriented Huntress, and the magic based Apprentice. All of these are proficient in combat, and have their own unique defense abilities. The Squire for instance can raise a training dummy, which upon being hit will spin around, doing damage to anything it touches. The Apprentice can employ a frostbite tower to damage and slow oncoming enemies. All of these abilities mix well with one another, so no matter what team you end up having, the abilities will still compliment each other well. In my time so far, I have spent most of it investing in my Huntress. I tend to like ranged characters, and the bow and arrow combination just suits me. Even though she is pretty much exclusively range, I was surprised at how well I can still do just going through a map solo. Her abilities are powerful enough to take out foes in mass, and her poison towers in conjunction with her geyser trap are able to keep enemies at bay just long enough for me to finish them off before they get to me. The combat is crisp, even at this point, but the characters jump ability could use a bit of tweaking. It is just too floaty for my tastes, and it never feels like you are totally in control of where you are going to land. That, combined with the sometimes hard to see pitfalls on certain levels, lead to a bit too many deaths in between wave. Granted, you don't lose anything if you die there, but it's still annoying and breaks up the flow. Your tavern is your HQ, and housed here are the various upgrade stations you can use to tweak your character. You can equip various orbs to raise your character's stats, or you can merge equipment or weapons to make your rare stock more deadly. 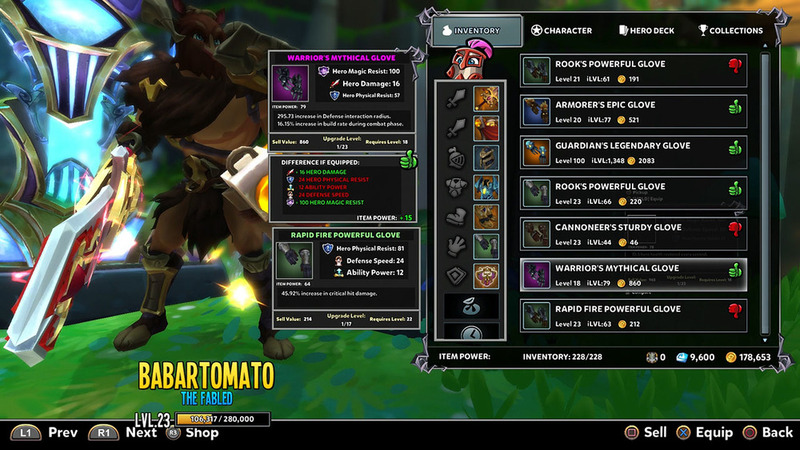 You can also purchase relics or costumes, and can also raise and level up your various pets. I love how many ways you can invest in your character, though there are some issues. You end up grabbing a ton of eggs through battle, which you then have to wait 8 hours to hatch, and then it is randomized as to what pet you get. While this is fine in theory, It would be nice to have more than just one slot available to hatch eggs, as if you wait too long the other eggs spoil, so you just lose them all, as are your chances at the pet you want until you go and play some additional levels. My only other qualm right now is the way getting into a match is handled. You are able to join a playlist, and you can either find a group automatically or start a private tavern. That sounds easy, but in execution it is a bit clunky and confusing, as sometimes you will hit the "Find a Group" button and nothing happens. Sometimes you are taken to a group tavern, and sometimes you are taken straight to a level. Other instances, though rare, have you in a tavern looking at your gear or upgrading your weapons when suddenly you are transported into a level without any warning. The way you get into matches just needs a bit of refinement. Like I said, it is early alpha, so things like this are expected, but with a few updates the future is looking quite bright.